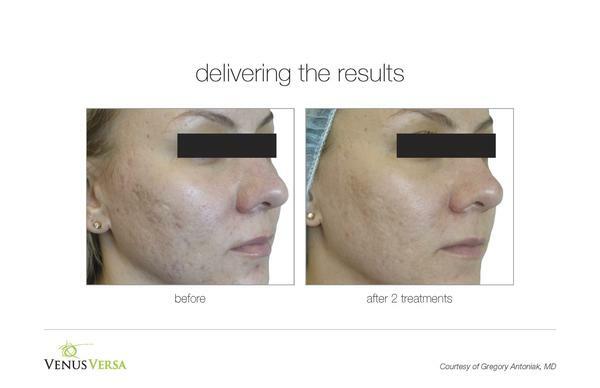 FIGHT SUN DAMAGE WITH THE POWER OF LIGHT WITH VENUS VERSA™ IPL TREATMENTS! 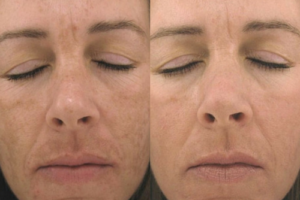 How does IPL Photorejuvination work? During an IPL photorejuvenation treatment, high energy light waves are used to reduce or eliminate many common effects of aging, including facial wrinkles and skin discolorations. IPL light also encourages the production of collagen, a natural protein that fills in wrinkles, making the skin smooth and supple. With each treatment, the results of IPL photorejuvenation become more pronounced. 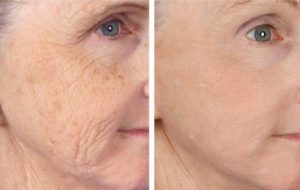 Six full-face IPL photofaciall sessions spaced four weeks apart are normally required for optimal results. A typical IPL session with Venus Versa™ usually takes about 15-20 minutes, and because the treatment is non-invasive and non-ablative, you can return to your normal activities immediately with no downtime! Some patients will experience temporary facial redness which may last up to an hour after the treatment. You will see some reduction in pigmentation problems immediately after your first treatment, and for individuals with brown spots and other minor pigmentation problems, one or two treatments may be all that is required. Most patients, however, require a series of 3-6 treatments, spaced about four weeks apart, for optimal results. WILL THE IPL PHOTOFACIAL BE UNCOMFORTABLE? The procedure is gentle, noninvasive and safe, some individuals are more sensitive than others and with more sun damage you will feel more heat. Venus Versa IPLS has a built in cooling system so most individuals feel that this procedure is more comfortable than other lasers they have experienced. The number of treatments needed varies from patient to patient, somewhere between 3-10 treatments is required depending on if your goals are cosmetic, therapeutic or both. Your clinician will personalize a treatment plan based on your skin defects and the level of improvement you desire. Your clinician may also combine your treatment with other popular aesthetic procedures to further enhance the outcome. While you will see some improvements in pigmentation from one treatment generally more are required to get an even smooth look especially on the body areas. Touch ups to remove any residual striping that may occur can be performed at the 30 day mark. It is important to follow your clinician’s instructions. You may purchase skin care products that will enhance the benefits they will come instructions on how to use them. If brown spots are the target, IPL penetrates the skin to reach the melanocytes. The particles of the cells left behind will peel or slough off within 7-14 days. There is generally little recovery time and a low risk of complications with Phototherapy treatments. Multiple sessions are performed every 2-4 weeks until the desired result has been achieved. The more damage the more potential for “down time” meaning you may choose to cover the area as it heals. And the more treatments are needed. A cold compress or an ice pack can be used to provide comfort if the treated area is especially warm. This is typically only needed within the first 12 hours after the treatment. Skin may be appear red, swollen and blotchy and have a mild sunburn sensation. This is a normal reaction. It can last from a few hours to days after treatment. Applying an ice pack for the first 24 hours will help minimize swelling. Vitamin E or Aloe Vera applied to the treatment area may provide a soothing effect. Post treatment discomfort is typically minimal but if the area is very uncomfortable, oral pain relievers; i.e. Extra Strength Tylenol or Advil, may be used. Freckles and sunspots may turn slightly darker initially and then flake off within 7-14 days. This is a desired and normal reaction. There may be erythema (redness) and slight edema (swelling) and temporary marks from the crystal. Makeup may be applied immediately after the treatment as long as skin isn’t blistered. In the unusual case of crusting of the skin in the treated area, apply an antibiotic ointment twice a day to the affected areas. Do not pick at these areas, as this may result in infection or scarring. If the skin is broken or a blister appears, apply an antibiotic ointment and contact the office immediately. Keep the affected area moist and avoid direct sunlight. Strictly avoid any sun exposure to the treated area for a minimum of 7 days after the procedure. The treated area is more prone to sunburn and pigmentation change. Keep the area covered and use a sun block with a protection factor of 30+, and reapply every 2 hours. Delayed blistering secondary to sun exposure has been noted up to 72 hours post treatment. If in the middle of a series of PhotoTherapy treatments, sun exposure should be avoided between treatments and a sunblock should be Subsequent treatments are based upon your clinician’s recommendation and are typically 2-4 weeks apart. The recovery time from an IPL skin procedure is often very short, as there is very little damage done to the skin during treatment. Depending on the skin condition you are seeking to remedy as well as your skin type, the redness that is present following the procedure may persist for a longer or shorter period of time. 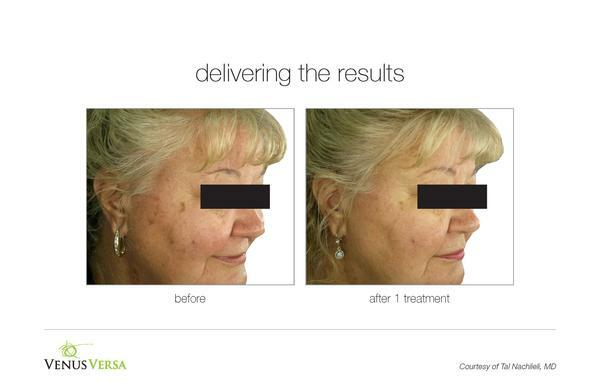 The side effects of IPL photofacial treatment dissipate within a few hours for many patients. For some patients, however, the redness or dark spots may take a week to fade. Patients treated for severe acne sometimes experience longer recovery times, though they are often amazed by the results when the side effects wear off. Body areas tend to have more down time, redness, heat, brick marks and generally take longer to heal than the face or neck. They can have more discoloration during the healing process that can require a longer period of time to heal and may require a touch up for stripes or a microdermabrasion to smooth the treatment. The more sun damage you have the more likely you will need some aftercare measures to give an even smooth skin tone.